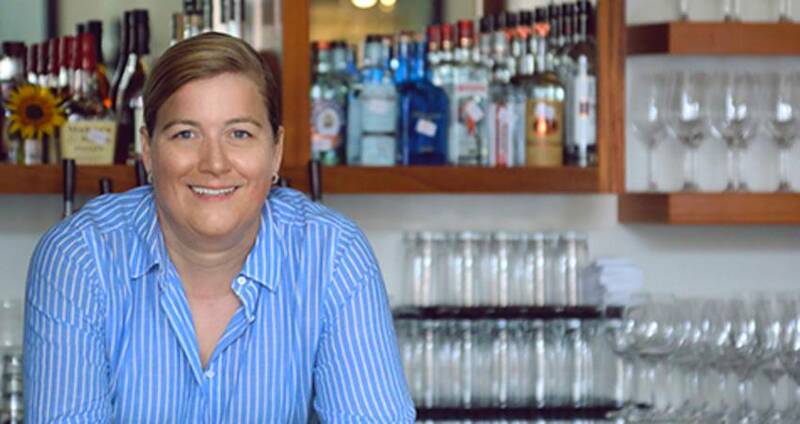 Raleigh, N.C., passionate mind and James Beard Award-winning chef Ashley Christensen has developed a following of visitors and locals alike. Who better, then, to share some of her favorite Raleigh dishes—read on for recommendations in her words. "Cheetie Kumar spins Indian-rooted dishes with N.C. ingredients; they balance bright inventiveness with respect to tradition. This dish celebrates a partnership between the shattering crispiness of the roti’s shell and the warmth and spice of the vegetable filling (appropriately blanketed with gooey, snappy cheese). The chimichurri crema seals the deal, and has me dipping like the red neck that I no longer fight that I am." "The ultimate hug from the inside-out; rich coconut, warm red curry, fresh herbs and crispy belly. I dig it with vegetables in place of noodles and I love to pair it with a crisp but slightly weighted white or rosé from the wine list." "I’m not a chocolate addict, but I love it in small decadent bites, where each pass over the palate makes you curious and thankful. Their chocolate is inspiring and exquisite, and this oozy-boozy filling is one for the books." "This place is old-school Raleigh and I feel warm and welcome every time I walk walk through the shiny chrome entrance. Slurp these back with horseradish and lemon and draft beer." "This is a chard salad dressed in sweet and sharp emulsified dressing and studded with poppy seeds and wood-oven fired croutons. It’s simple, delicious and I couldn’t be happier that it’s in my neighborhood."